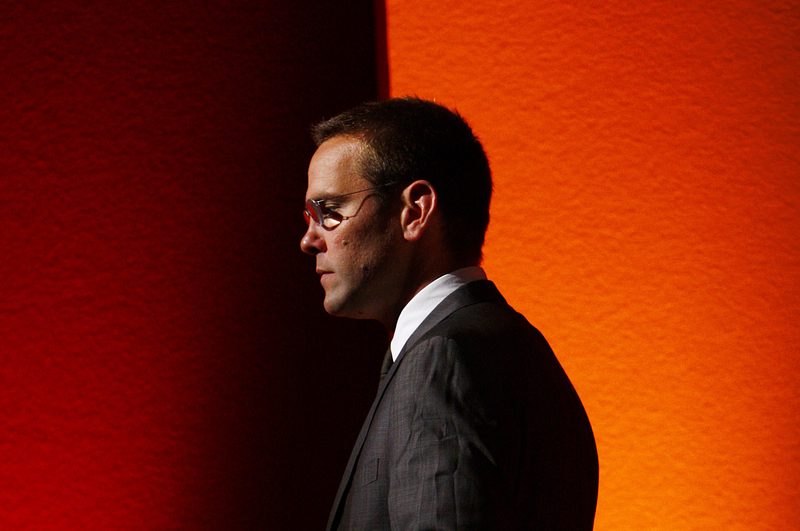 BSkyB Chairman James Murdoch, who is also head of News Corp in Europe and Asia, walks off stage after a rehearsal for his James MacTaggert Memorial lecture as part of the Media Guardian Edinburgh International TV Festival in Edinburgh, Scotland, August 28, 2009. Elon Musk on Oct. 10 used Twitter to deny a Financial Times report earlier in the day that outgoing Twenty-First Century Fox Chief Executive James Murdoch is the leading candidate to replace him as Tesla’s chairman. Murdoch is already a Tesla director. Tesla has until Nov. 13 to appoint an independent chairman of the board, part of settlements reached last month between Tesla, Musk and the Securities and Exchange Commission in the wake of Musk tweeting in August that he had secured funding to take the company private.